) (cps are not only able to rate the capacity requirements of cooling tower fans but also supply replacements. 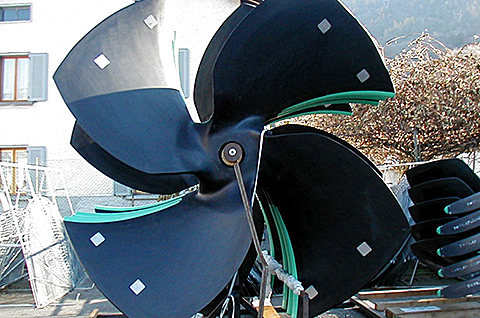 Any diameter from a 15 inch package tower sheet steel fan to 40 ft multi GRP bladed fan on an industrial tower are available.
) 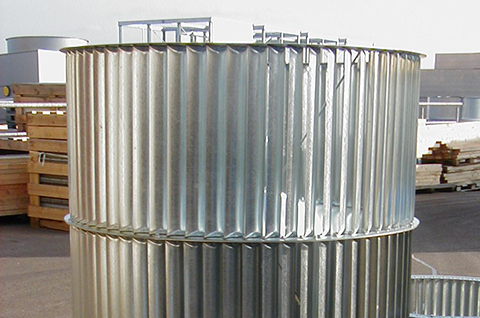 (cps can also supply centrifugal force draught fans together with shafts, bearings and pulleys if necessary for package towers.